^^ After trying to take pictures in the 15-20 mph wind gusts (and cold temps), we decided to head inside. The rest of the pictures were taken inside a cozy, warm (an no wind!) building. This look is on repeat. 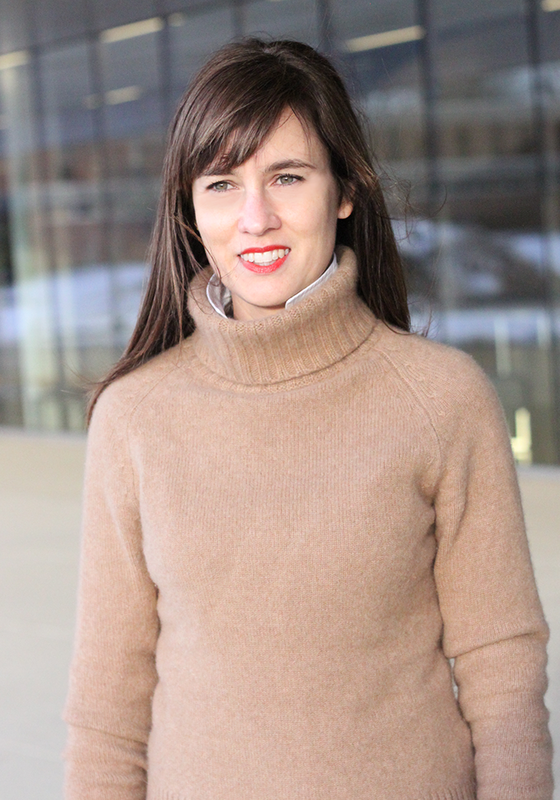 I like cozy sweaters (like this cashmere one I bought during the Nordstrom Anniversary sale), and layering a collared shirt underneath to stay warm in the winter. Also, I love my OTK tall boots! 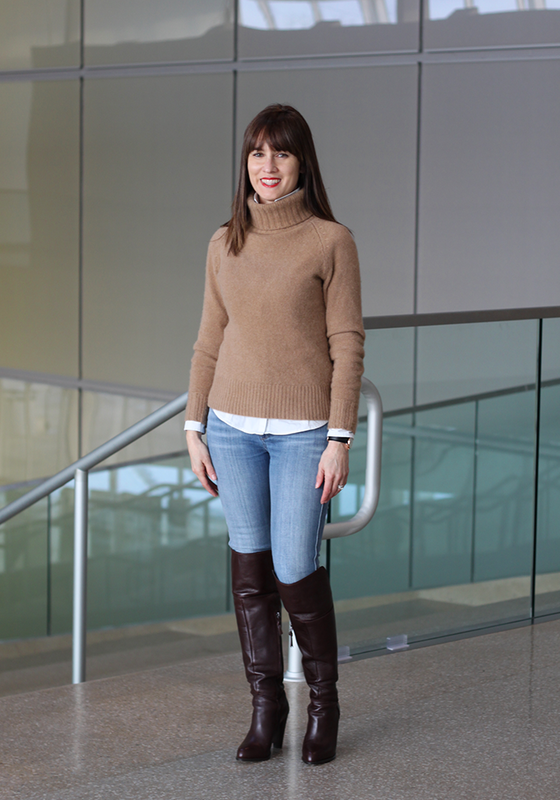 I am more partial to tall boots because I think they balance out shorter legs. This is my style - it is somewhat simple, but it is what I feel comfortable wearing. With blogging, I easily get wrapped up in what others are wearing. 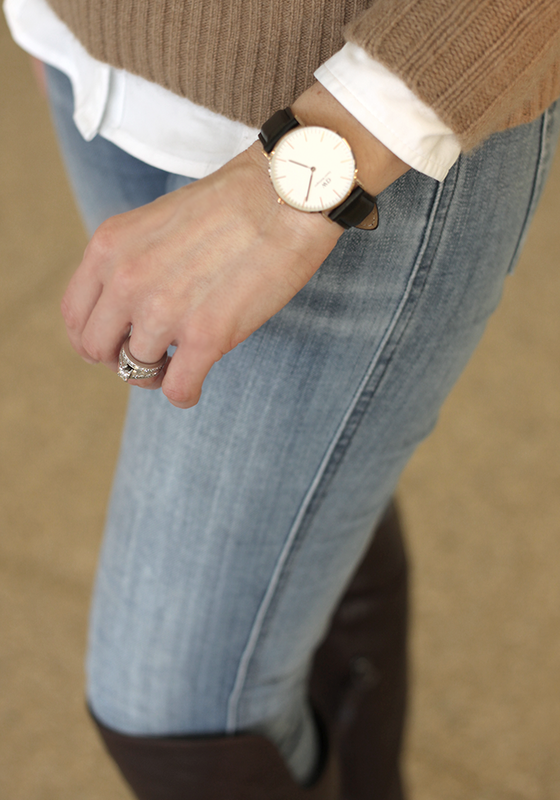 I look to other bloggers for inspiration, but I am trying to remember to wear (and post on my blog) what I wear. Anyone else feel that way? Be sure to check back tomorrow - when we announce the winner of the $590 Nordstrom Giveaway! Haha I love it!! I swear it's super windy everytime I try and take pictures!! You look adorable! I am so in love with those boots!! This is my go to outfit! Love your OTK boots! We had a similar time shooting this week too! The wind is brutal!! I know what you mean about windy, it's been freezing and snowing most weekends here so it's been a challenge to take any pics outdoors. 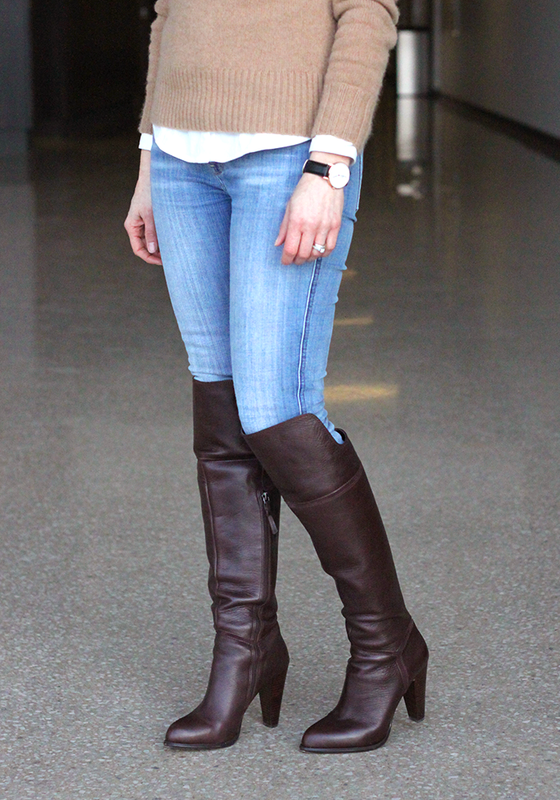 Love this simple chic look and those are the most amazing OTK boots!! Love the boots and the outfit looks great. You look great in this style, so I say stick with what works for you! Adore your otk boots - I am on the hunt for some and am having a difficult time because I have muscular calves, but I know the perfect ones are out there somewhere! Great boots! I love the camel sweater. 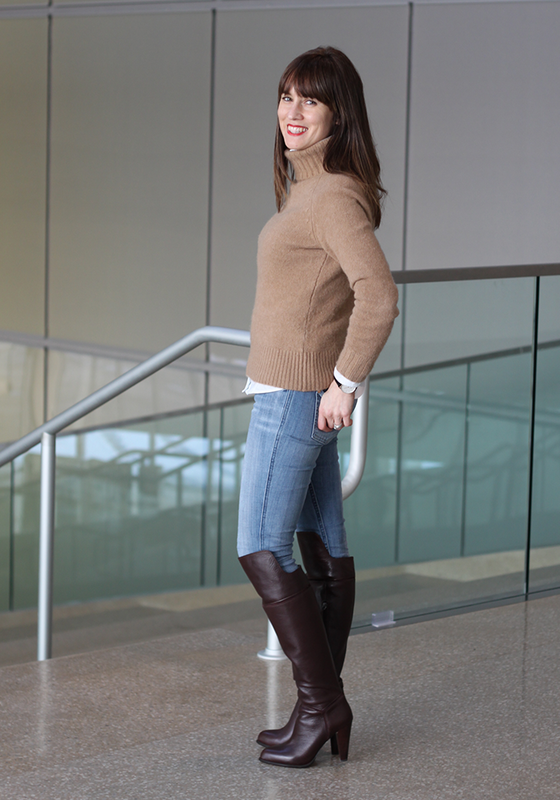 I feel like boots, jeans, and a sweater has been my winter uniform. Great boots!! I love turtlenecks, they are kind of hard to wear in Los Angeles but whenever it get a bit cooler than normal here I love wearing them under blazers. You look fab! Darn wind! I love your OTK boots! I am pinning this look to the Celebrate Southern Pinterest board to share this great winter look with others! Love this outfit! Thank you for joining the Trendy Wednesday Link Up! I love the colors of this outfit! Plus, that watch is gorgeous.